So, the upside of my little business is that I have made enough money to completely cover all my material expenses, plus I’ve been able to purchase a new camera (a Nikon D40) and a new Sewing Machine – a Juki TL-98Q. Yay! But now I needed a table that could fit both machines at once, or one at a time. 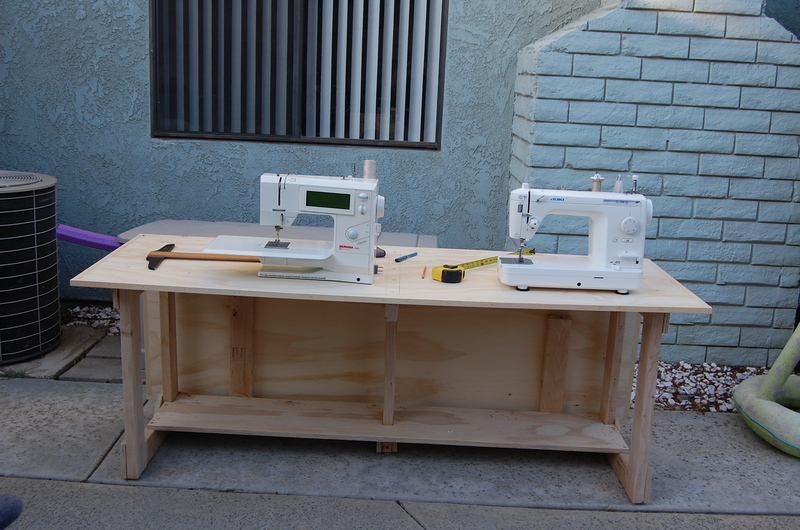 For 2 reasons, 1) money and 2) function, my DH has made me the perfect sewing machine table! Tah Dah! As always – click any picture to embiggen! 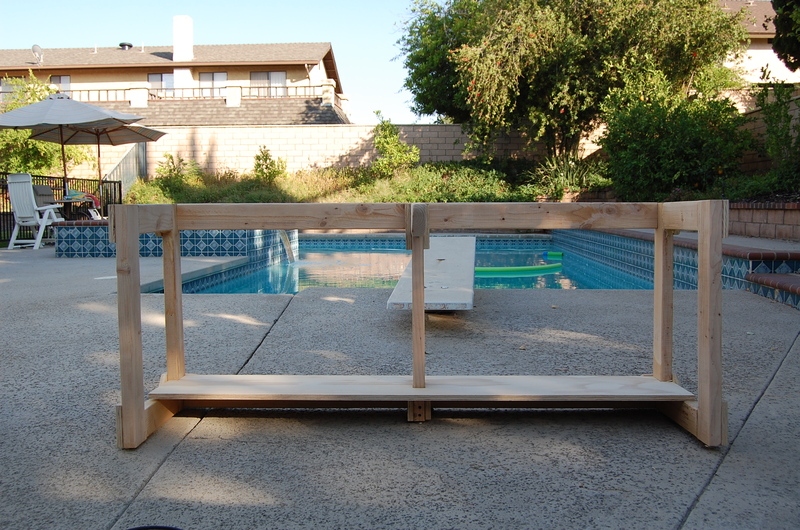 It is 2' x 6', with an extension hinged across the back to make it a full 4' deep when I want (the extensions that hold that up aren't built yet, but Rome wasn't built in a day either...) It is 28" high with leveling feet that allow up to another 1" in height if needed. There is also a 12" deep shelf running across the back to hold either the machine covers or the machines themselves. 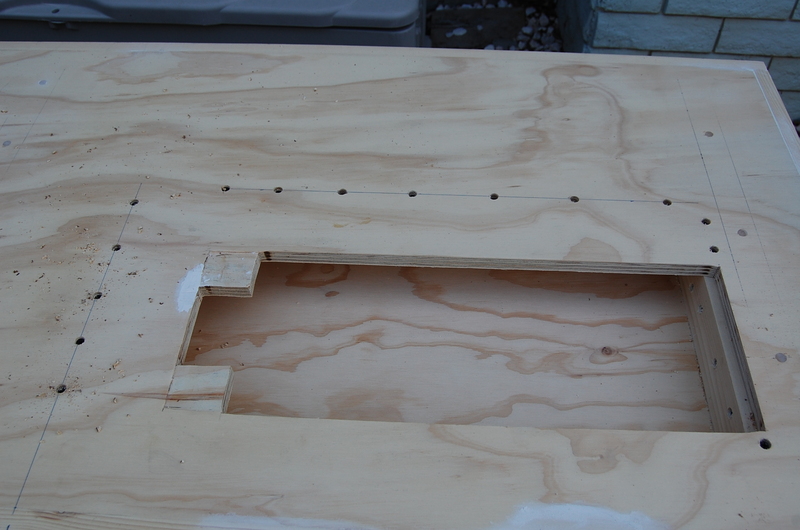 Table frame: 2x4's braced with plywood pieces at the junctions. There is a 12" deep shelf running across the back. Lots of drywall screws, counter sunk, then later filled with spackle. The Juki with the brass plate set into the worktop and held in place with some rare earth magnets. I can fit my finger into the fingerhole of the plate on the machine, flip the brass plate over, then access the bobbin area. 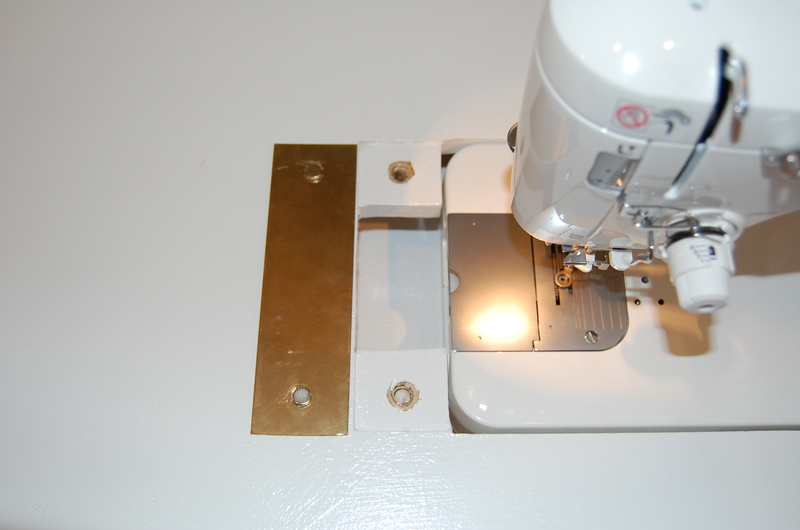 Here the brass plate is flipped over - you can see the magnets counter sunk and plenty of room to access the bobbin. Bernina sits just proud of the table and the table that came with it covers up the hole. This system worked really well with my old table and saves the $$ for the plexiglass insert. See my July 6 post. We stapled some velcro ties underneath to control the cords. My DH created a “mini-table” insert for the Bernina hole. 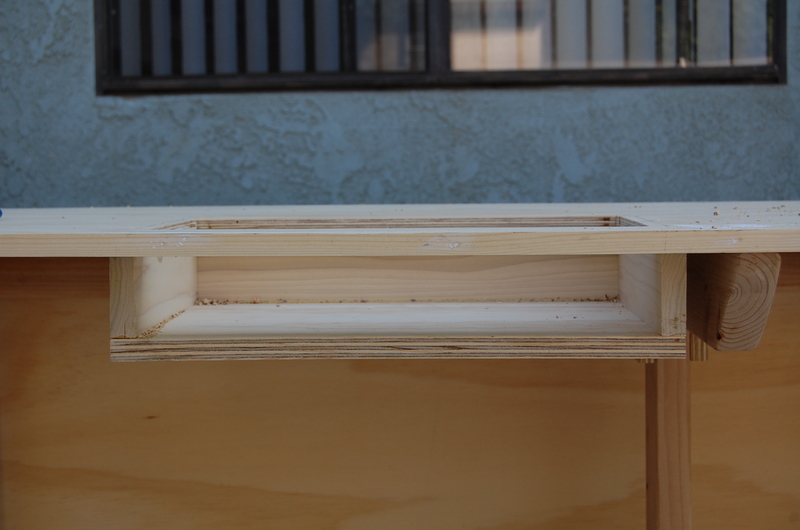 A carefully fit plywood top with 2x4 bits underneath. Those are adjustable chair legs screwed into the bottom, so we could get the top totally flush. 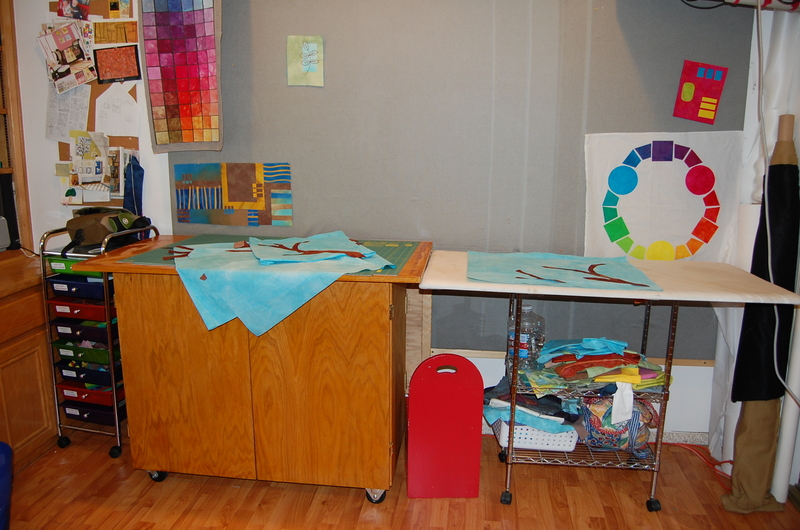 With the "mini-table" in place, I can use the surface for cutting, or it will support a large quilt when I'm quilting. 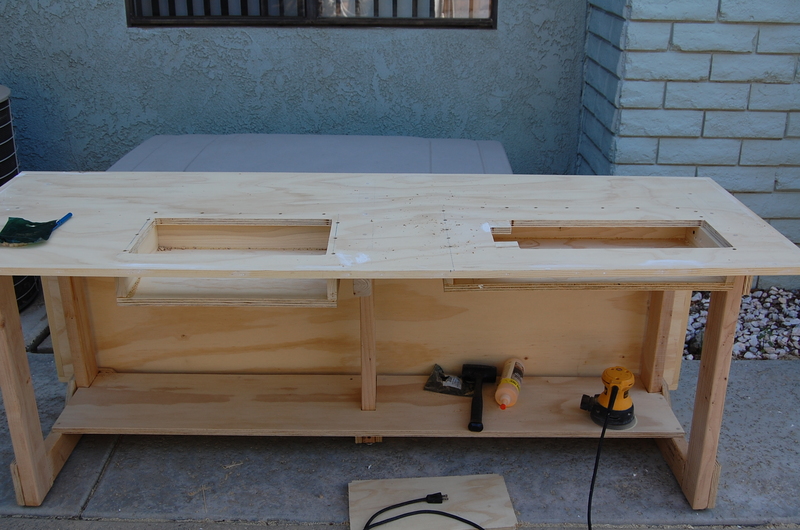 Even more pictures of this whole process are here…if you need to show the handy person in the house “Just how Candy’s husband did it” so they too can build you the perfect sewing table! 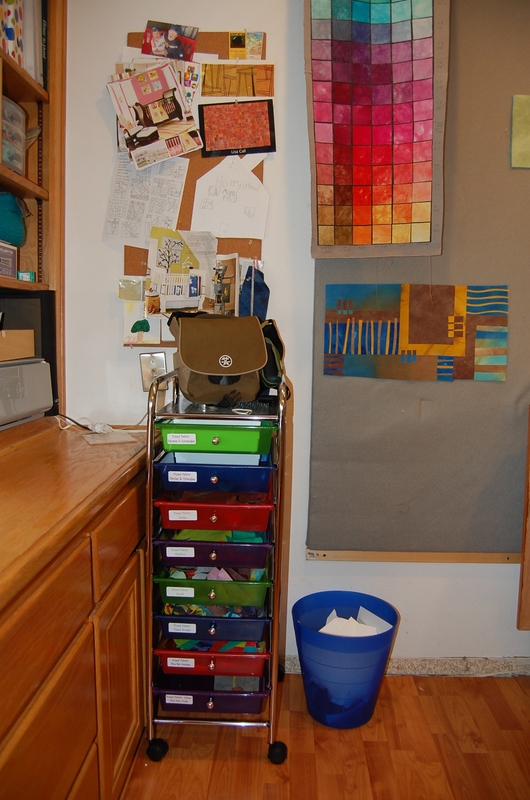 With the addition of one more set of drawers for my fused fabric little bits my studio works very well! This new table is a bit narrower, so when I open up the cutting table all the way, there's room to walk all the way around. These drawers were repurposed to hold all my thread. 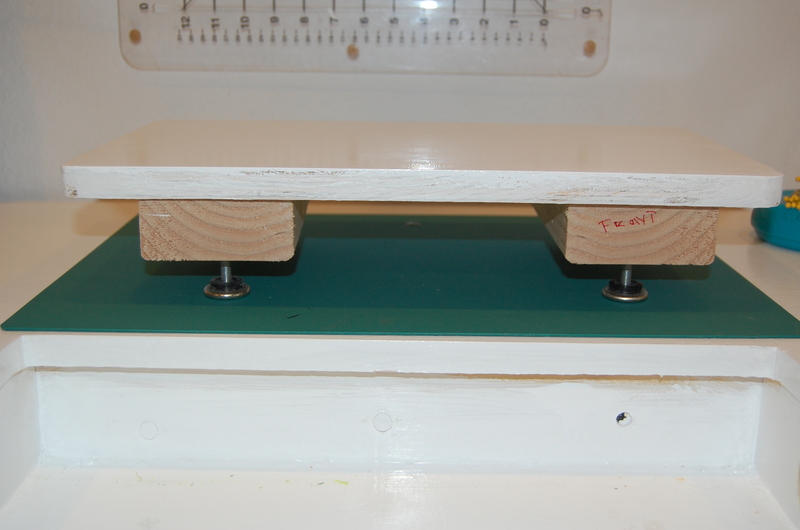 I can also create an ironing surface by placing my large board across a small set of rolling shelves (balance carefully) Then I can cut & press side by side. I always enjoy seeing where people work, so I’m glad that 1) I’ve got such a great place to work and 2) that I can show it off to you! This is not a large room, but with most things on wheels, I can reconfigure it depending on how I need the space! This is working really well for me. Wow! I definitely want one of those! 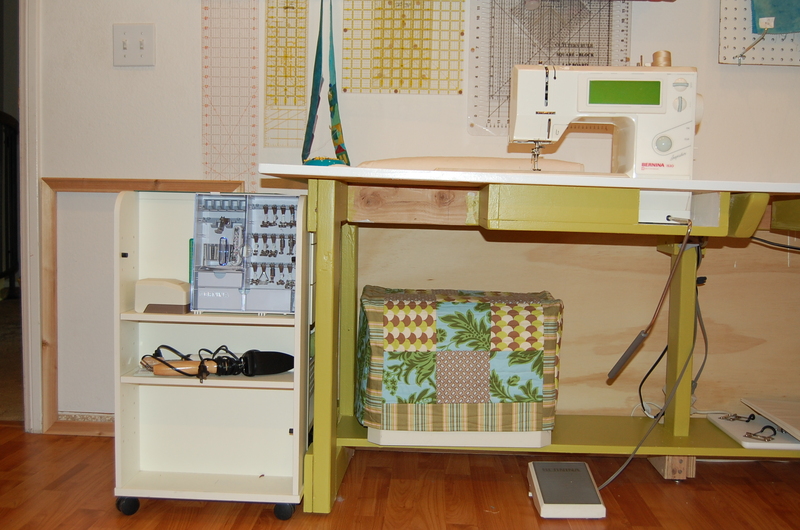 My sewing table has way too much stuff on it, and I would really like one like yours that is nice and long and has the machines sunk down so they are level with the table top! Great work! Beautiful table! Thanks for posting so many pictures and notes. Excellent job! That’s incredible and timely, too. Thanks for the instructions. I just set up my new studio office where I can receive clients, see here: http://calicodaisy.blogspot.com/2008/07/open-house-open-hearts.html. 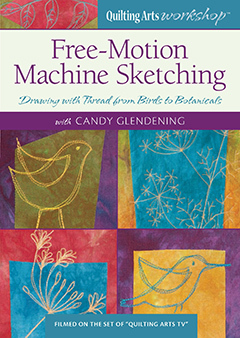 Now I have to get my sewing room under control – three machines – and I don’t like any of the expensive furniture available. 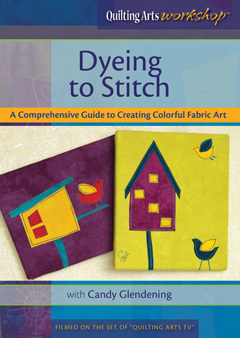 Here is my chaos to be managed: http://calicodaisy.blogspot.com/2008/04/mission-managing-dream-come-true.html. I’ve already forwarded your link to my husband so he can start thinking on it. Thank you for sharing. 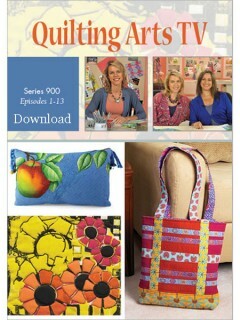 I found your link on sew mama sew. This is great. Thanks for the details. I need a sewing table and I think my hubby could build this one. 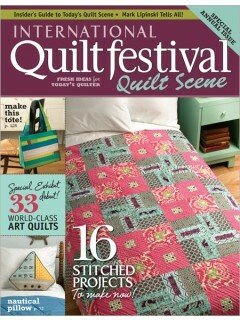 Sew Cool! 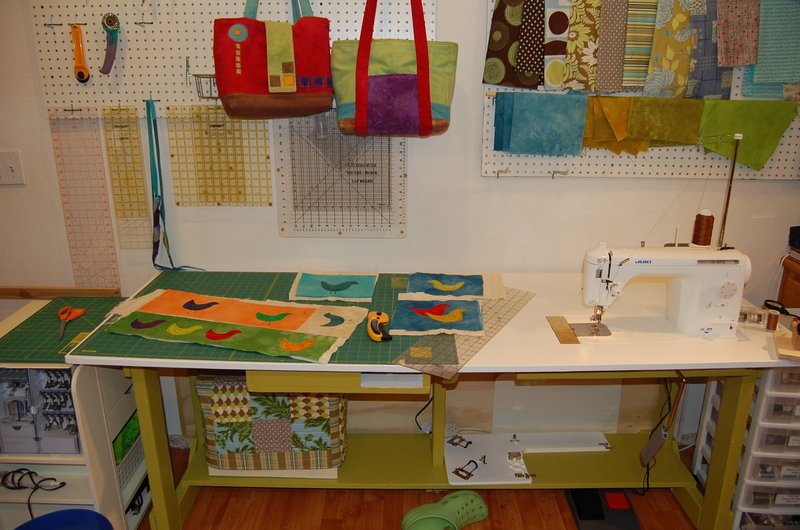 Am so jealous you have your own sewing space. 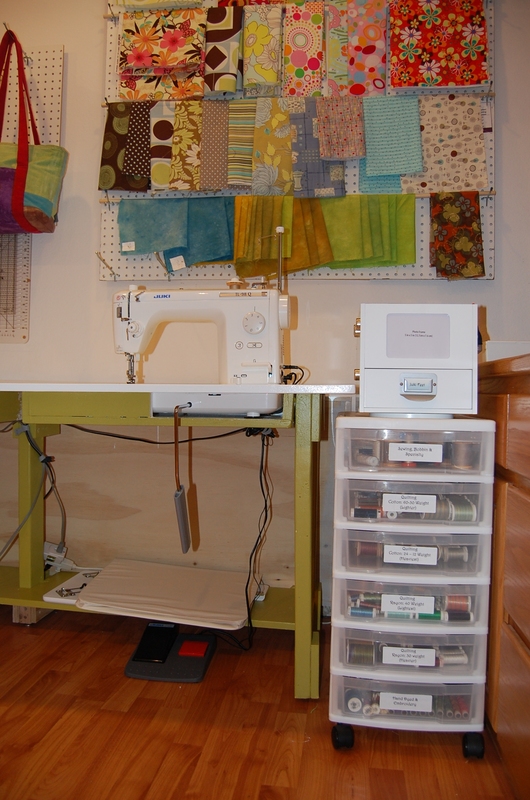 Someday…..
Beautiful sewing room and table! I’ve definitely gotten some useful ideas from this post. 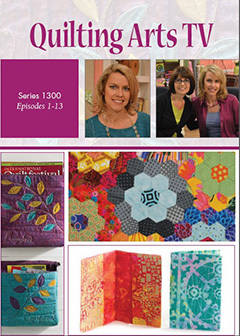 Especially how to organize all my scissors and thread! Sigh. . . . 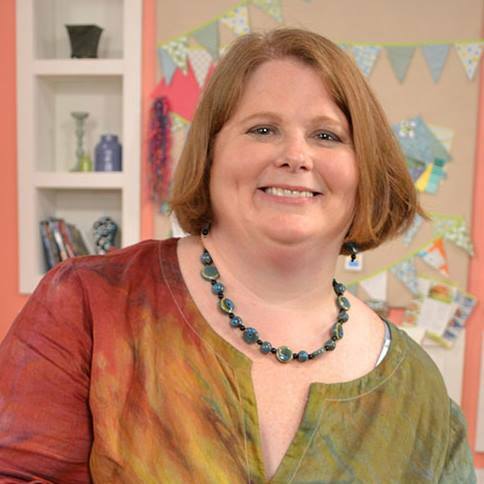 I want a sewing room!! 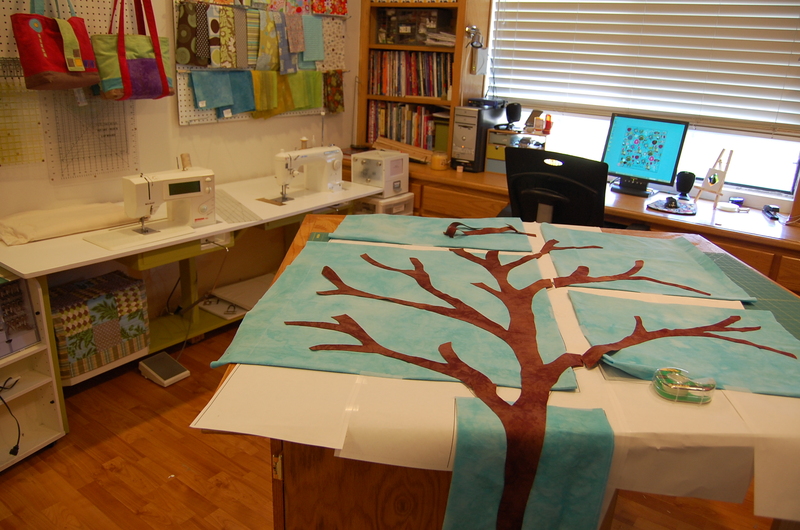 I have a very messy “nook”, but my sewing machine is currently set up on the dining table. What a great table and space!!!! This looks SO great. What a fun place to sew!!! What a great table! I have the same two machines, and am CONSTANTLY hoisting them up and down off of the table. Such a drag and waste of time! And lucky me (like you) has a woodworker for a darling husband. Sounds like I have a table in my future! Thanks so much for the instructions and pics! Ooooo. Thank you! What’s the grand tree for? this is wonderful! 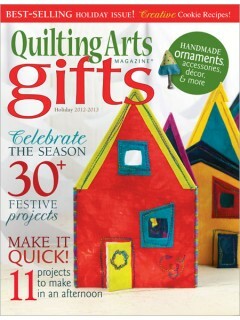 i’m clipping this as inspiration for my basement workspace. LOVE THIS!! 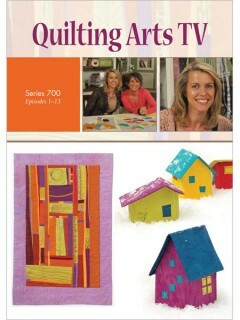 My husband has already agreed to make me one. I can’t wait! I LOVE this! I love how affordable it is, too! 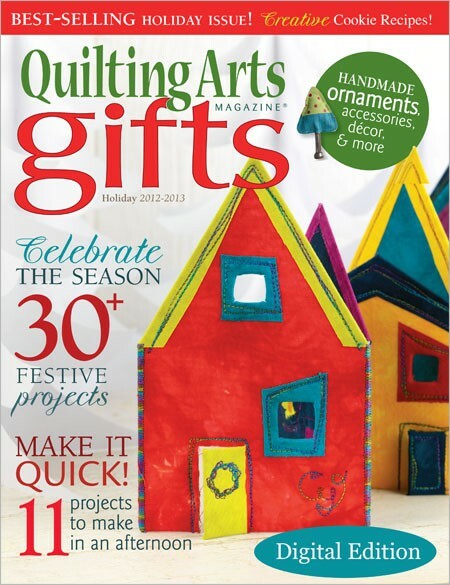 My sister sent me the link to your table, its GREAT!!! 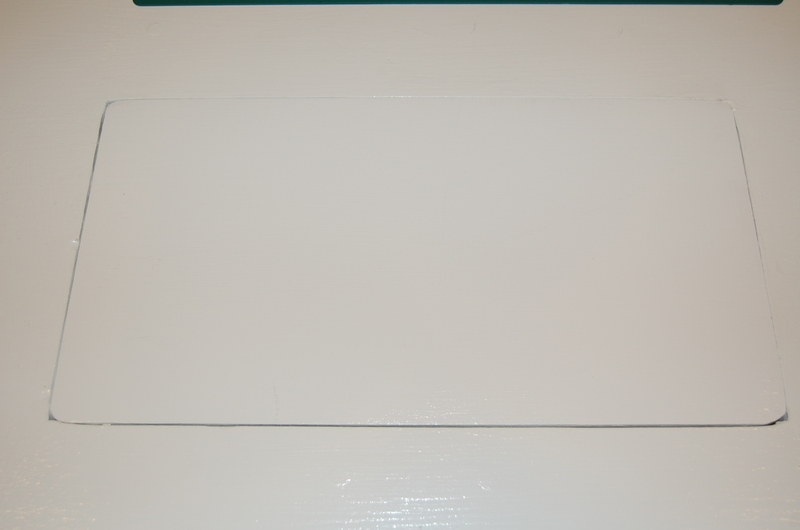 I have been looking at tables that have the drop in for the machine and they are way out of my price range, and aren’t really made that well, mostly out of press board. 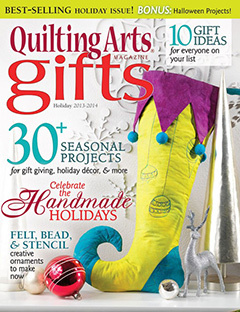 I’m glad you have included so many pic’s, in addition to quilting I’m pretty hand with powertools so I can make one for myself!!! Thanks for the great info. I can’t believe I found this. Thanks for the pic ofyour table. I would so much like to have my new table this way. 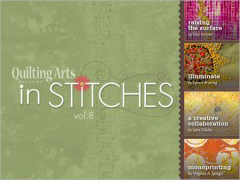 I will make one for the machine that i can do the flatbed sewing and then the embroidery module that attatches to my bernina. I just hope it will not cost too much to make. This is what I will present to someone to make for me. 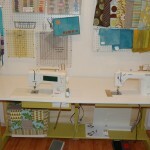 I love your sewing table,and hope to have one built very soon. 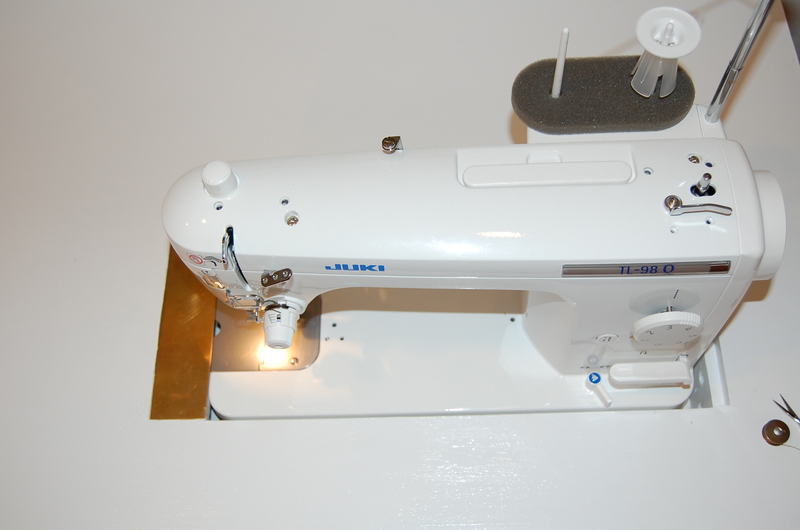 I have a Phaff and a JUKI 2010 sewing machine. First question is where can I get plans for your table and second question is what is a rare earth magnet and why do I need one. Looking forward to hearing from you here in eastern Canada. 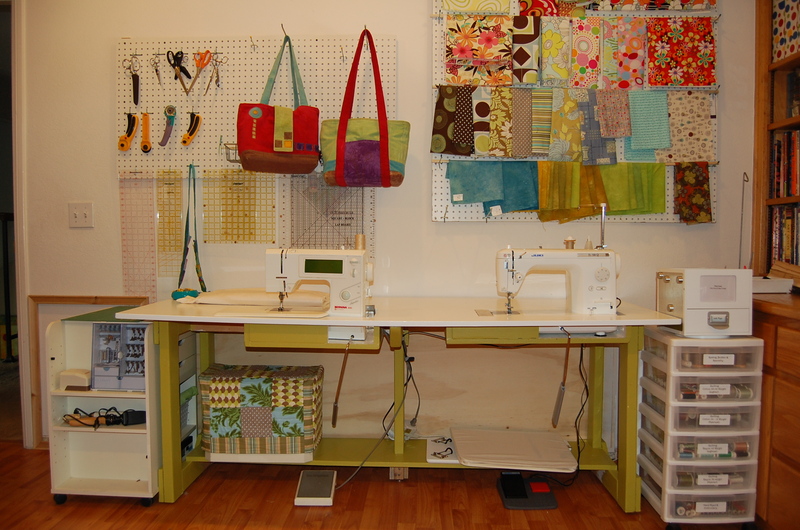 I really want a sewing table like this where do i get the plans to build one myself? 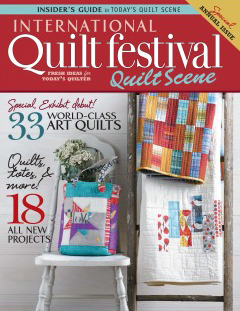 I love this table; just posted your blog address in our forum http://www.quiltfriends.de; now I only need to find someone to build it for me …. Love it! I have already shown my husband and designated this as his next DIY project. THANK YOU! Did your husband use a printed plan for your table or just made it up? If he made it up has he developed a plan for sale? I would love to have one but my hubby has to follow a specific detailed plan. Thanks for sharing.